· Pain in or around the eye (rare with eye cancer). · Eye irritation, red eye or chronic inflammation of the conjunctiva (conjunctivitis). Pain is a rare symptom unless the cancer has spread to the outside of the eye or has caused the pressure inside the eye (intraocular pressure) to become too high. In one third of cases the tumour is detected in a routine ophthalmologic evaluation, often with no symptoms reported by the patient. 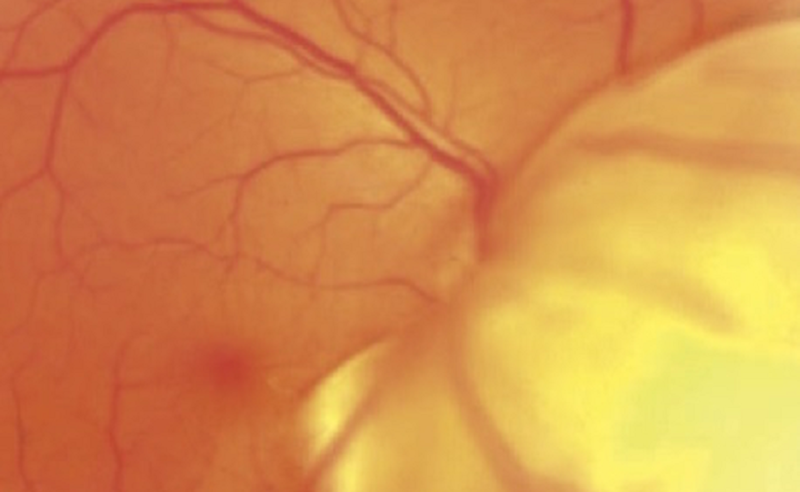 A benign pigmented lesion in the eye such as a uveal nevus of a large size can be a risk factor and should be routinely checked.